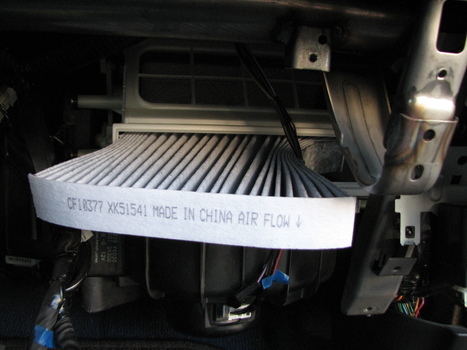 Cabin air filter. 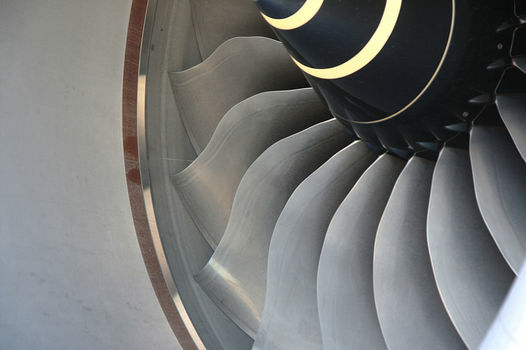 OEM Part Number G3010FE200. I used Fram CF10377 and it fit fine. 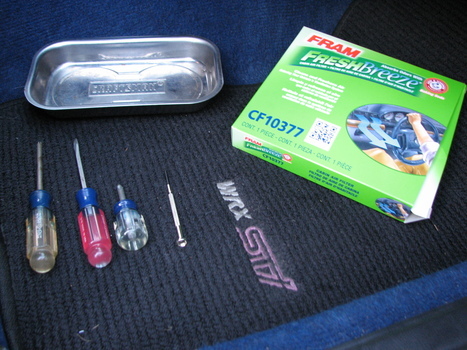 Here's the tool set I used, plus a pillow. 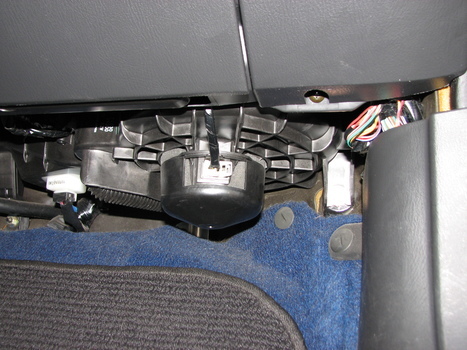 We're going to remove the glove box, which will give us access to the air filter housing. So maybe the first step is to empty out the glove box of all the CDs, registration and insurance documents, and whatever other goodies you might have stowed in there. There are a total of 9 identical screws and 1 pop fastener holding it on. The last one off is the plastic pop fastener on the side. 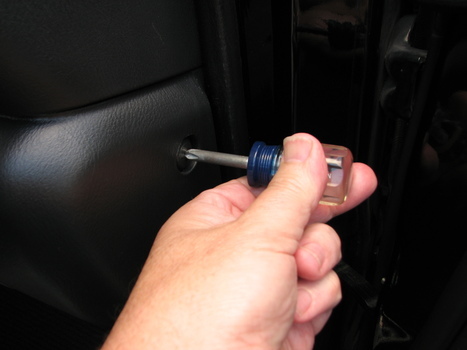 This is where a shorty screwdriver comes in handy, since the passenger door limits the access space. If you don't have a shorty, you can probably angle a regular screwdriver enough to do the job - the plastic fastener isn't torqued down much and doesn't take many turns to come loose. 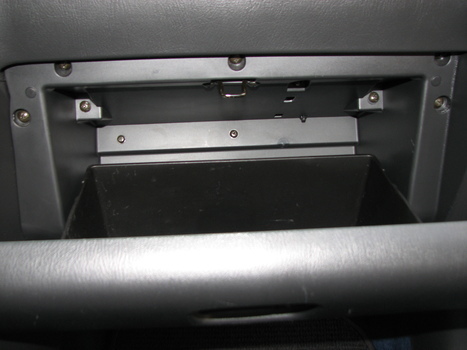 The glove box assembly will stay in place, even with all the fasteners removed. Before pulling it out, place a pillow, small box, or similar object underneath the glove box to support it after you pull it out. 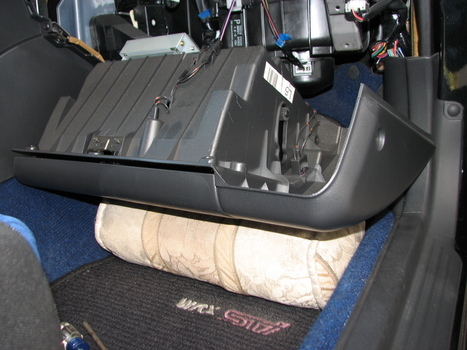 The glove box is tethered by the wires for the light - the pillow keeps it from getting yanked out. 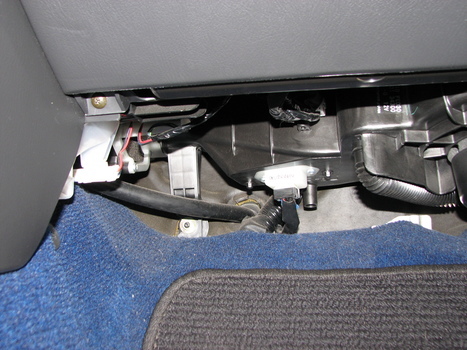 With the pillow in place, grab the glove box assembly on both sides and pull back - it comes right out. The glove box wires are in the way of the filter housing, so we'll need to disconnect them. 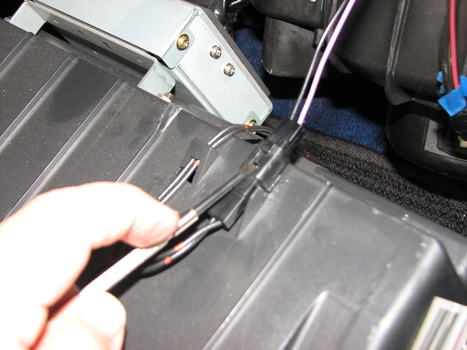 Use a small flat head screwdriver or similar tool, press the tab in on the top side and slide the connector back. You'll see another wire that crosses over the filter housing for the blower fan. 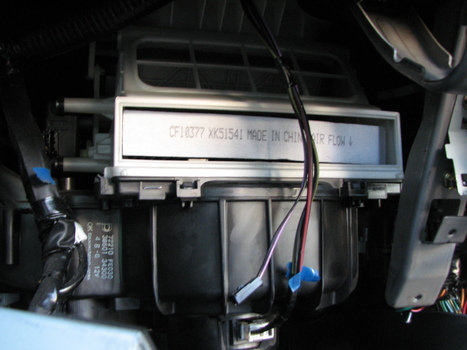 The filter can be swapped with it in place, or you may decide to disconnect the wires at the blower. I just left them in place. To access the filter, remove the plastic access panel by popping the front tabs forward. With the access panel removed, gently pull the blower motor wires to one side and remove the old filter. Be sure to orient the new filter for the proper air flow direction (arrow pointing down) when putting it in. 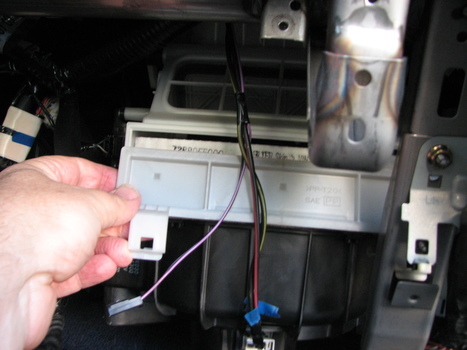 With the new filter in place, reverse the steps to re-install the glove box. I inserted the side pop fastener first to hold the box in place, then fastened the 9 screws. Great instructible! I've replaced the cabin air filter on my '05 WRX before; it's not hard but I wish I had your instructions -- clear photos and test -- back then. I'm going to do it again this weekend with your instructions in hand. Thanks!